The purpose of this page is to give both attorneys and motor vehicle crash victims our thoughts on Erie Insurance Exchange and how to deal with them. Understanding who you are facing is a key to maximizing the value of any personal injury case. Erie Insurance has been selling car insurance for 85 years. It is a regional company in approximately ten states, but it has a lot of the car insurance market share in Maryland, Virginia and Washington D.C. Bucking the current trend, Erie is trying to keep its insurance agents as a big part of its business although its web presence is increasing. Erie's customers - as opposed to those making a claim against Erie - are apparently happy, based on anecdotal evidence and the JD Power study of insurance companies in the Mid-Atlantic. 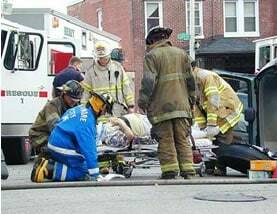 This insurance company is certainly not the worst draw for victims in personal injury auto accident cases. They settle the lion's share of their cases and they often get very reasonable about value after a lawsuit is filed. First, more than the usual suspects, this insurer writes larger insurance policies, at least in Maryland. As a result of so many insurance companies competing for business (because people are price shopping more than ever on the Internet), insurance companies are writing smaller insurance policies in exchange for lower premiums. Thankfully for everyone, Erie still seems to write pretty decent sized policies. "Decent sized" is the operative word. If it is a big case and Erie has a multi-million dollar policy, they seem more used to make settlements in the range of their midsized polices. 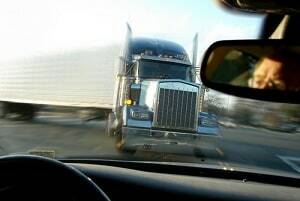 We recently got a pretrial offer of $800,000 from Erie in a truck accident death case where their driver is clearly responsible and we will get over $2 million at trial, even taking into account Maryland's cap on non-economic damages. Why are they offering $800,000 in a death case with awful pain and suffering and two wrongful death beneficiaries? It makes not sense. Again, the problem may be that they need to see the lawsuit to take the claim seriously or it may just be they cannot get their mind around what is reasonable this early in the cae. Like most insurance companies, this insurer will dramatically increase its settlement offer after a lawsuit has been filed. This applies in particular in Baltimore City or Prince George's County, Maryland's best two jurisdictions for victims. This insurer is often motivated to settle after a lawsuit is filed because it cares, more than most insurance companies it seems, about its litigation costs. This company relies on Rollins Smalkin in the Baltimore area and McCarthy Wilson throughout much of the rest of Maryland and, more frequently of late, also in Baltimore. (Apparently, McCarthy Wilson has opened a Baltimore office.) These are not in-house company employee lawyers. They bill by the hour. Unlike State Farm or Allstate, this insurer keeps this in mind when a lawsuit is filed. But Erie Insurance claims are not handled all that different than other insurance companies once they get into suit although I do think Erie is a little more receptive to setting cases for a reasonable number after their lawyers get involved. Why? It is probably mostly that the lawyers who actually have to try the case are more realistic about the settlement value of the claim. But avoiding higher legal bills also probably has something to do with it. How Does Erie Value Injury Claims for Settlement Purposes? Erie uses a computer-based program, Colossus, to assist in placing an amount of money on an accident claim to compensate the victim. The computer tries to do what computers cannot be trained to do: evaluate how much someone has suffered and had to endure as a direct result of the crash. This is another reason lawsuits are usually the best path against this insurer. To its credit, Erie looks at claims with a different and less computer-driven eye after a lawsuit it filed. Who Are the Lawyers Who Defend Lawsuits Against Erie? As explained above, Erie does not have in-house counsel, at least not in Maryland or Washington, D.C. The company pays lawyers by the hour (or sometimes by flat fee) to defend cases in Maryland. Is This a Good Insurance Company to Bring a Claim Against? Erie is not a bad insurance company to have as an adversary compared to many other insurance companies. Of course, we are talking about insurance companies here: the bar is pretty low. This insurer certainly has its fair share of ridiculous coverage denials. Our lawyers currently have in suit many cases against this insurance company where their pretrial offers are south of ridiculous. Some of these adjusters clearly have no sympathy for the pain, suffering, and agony of strangers. The good news? Erie puts more money on the table after suit is filed. Our law firm has had cases against this insurer where the settlement offer increased exponentially after we filed a lawsuit. It is fair to say that this insurer - even more than most - takes off the rose colored glasses when punches start getting thrown. Still, Erie will sometimes surprise us with a reasonable settlement offer before a lawsuit is filed. The take-home message: you just don't know in any given case that Erie you will get. It is like a box of chocolates about which Forest Gump spoke. You never know what you will get. What Should You Call Erie When File an Uninsured Motorist Claim? We have handled hundreds of traffic collision tort cases involving this insurance company and have defeated Erie at trial when their offers have been unreasonable. If you have been seriously hurt in a car accident, and you have a question about your claim or wish to file a lawsuit, call us at 800-553-8082 or get a free on-line claim evaluation and consultation. Help me find the value of my case.